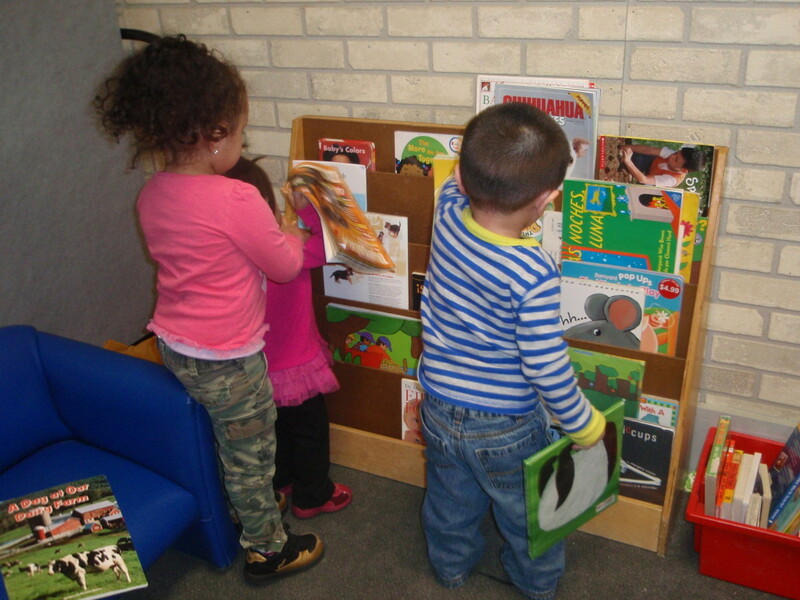 Children pick out books to read during parent/child reading time. In January The Beacon solidified a new partnership with the Adult Education department of the South Bend Community School Corporation, and the Family Literacy program began meeting at The Beacon four days a week. Family Literacy is an inter-generational program that raises basic literacy skills and educational success of parents and their infant/preschool children. Adults who attend the program work to improve reading, language and math skills as they prepare for the GED/HSE (High School Equivalency) exam. Their children, meanwhile, engage in interactive learning activities through play with early childhood development professionals. It has been a joy to host this transformative program, and we look forward to welcoming Family Literacy back next fall!